HomeBlogLatest NewsWhat Grass is Best for You? So you’ve decided to install some new turf in your garden. You’re either buying grass for the first time or are giving your existing lawn a makeover. There are many different types of grass available in the Newcastle region, and around Australia, but which one is the best for your garden? Would your yard prefer Sapphire buffalo or Conquest couch turf? Is Kikuyu grass or empire zoysia the better choice for you? Let’s find out which lawn is best suited to you. The type of turf you choose should depend on your schedule and the amount of free time that you have to get in the garden. Figure out how much spare time you have to water, mow, and care for your lawn. If you are busy and pressed for time, a variety of buffalo grass or Zoysia may be best suited to your yard, as these grasses are low-maintenance, resistant to heat and often don’t require a lot of mowing. If you are retired, work part-time or otherwise have more leisure time on your hands, then Kikuyu grass may be better for you as it looks great but requires more frequent mowing and care. You’ll also need to take into account the amount of sun that your yard does or doesn’t get – not all grasses like to be in the sun all day, but some love it! Couch grasses can deal with a little shade, but prefer full exposure to the sun in order to flourish, while some varieties of buffalo grass can cope with more shade quite well. This point is particularly relevant as we live in a nation that is prone to long periods of drought – and the water restrictions that come with these periods. How often do you have time to water your yard, how rainy is your area and what, if any, current water restrictions does your local council have in place? If you don’t have much time and live in a dry area with water restrictions then a hardy and durable grass, like sapphire or King’s Pride buffalo, may be best suited to you. While those who don’t have to worry about water may choose a Palmetto buffalo or Windsor green couch turf that still looks good but is not as hardy. This is probably this most important thing to consider when choosing grass for your lawn. What do you like? 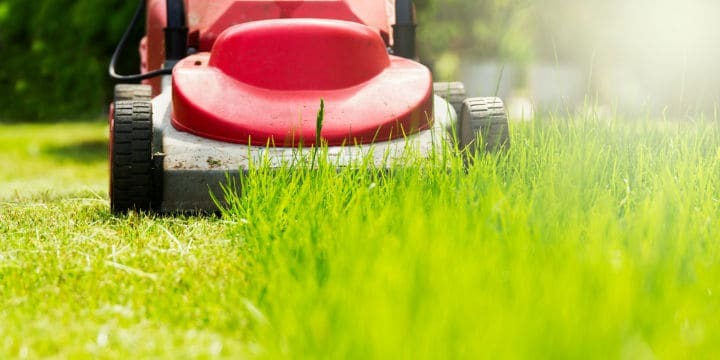 While the above points are important when it comes to maintenance and longevity, ultimately you want to choose a grass that you are going to be happy to look at, water, mow and have your kids play on. Everyone is different so pick a turf that is both practical and suitable for your yard but also one that catches your eye! If you need some advice on different turf varieties, we encourage you to visit us in Pitt Town Bottoms to view and feel the different varieties. To get an instant quote or buy online, visit our website now or call 1800 040 981. See our full contact details here.